Anchorage – Representative Matt Claman (D-Anchorage) and the UAA Justice Center will host an Alaska State Forum on Public Safety next month to update stakeholders on the status of justice reinvestment in Alaska and to examine Alaska’s crime trends and responses for those in the criminal justice system with substance abuse issues and behavioral health needs. Last year, the U.S. Department of Justice’s Bureau of Justice Assistance (BJA) announced it would provide support for up to 25 states to host a State Forum on Public Safety as a continuation of the 50-State Summit on Public Safety held in November 2017 in Washington, D.C. In February, the BJA approved Rep. Claman’s application to host a forum in Alaska. In September, criminal justice experts from the Crime and Justice Institute (CJI) will travel to Alaska to facilitate a data-rich public safety discussion between a broad cross-section of policymakers, criminal justice professionals, behavioral health practitioners, and advocates to identify opportunities to increase public safety. The event will begin with a presentation from CJI to provide a national perspective on Criminal Justice Reform. Then, the forum will highlight shorter presentations followed by panel discussions among state stakeholders, leaders, and experts. “Public safety continues to be a priority for me, and this forum is a positive way to discuss criminal justice improvements, current challenges, and potential next steps for reducing recidivism while improving public safety and the state’s criminal justice system,” said Rep. Claman. This event is open to the public, and all public safety stakeholders and members of the UAA community are encouraged to attend. This event will be live-streamed via Rep. Claman’s Facebook page. 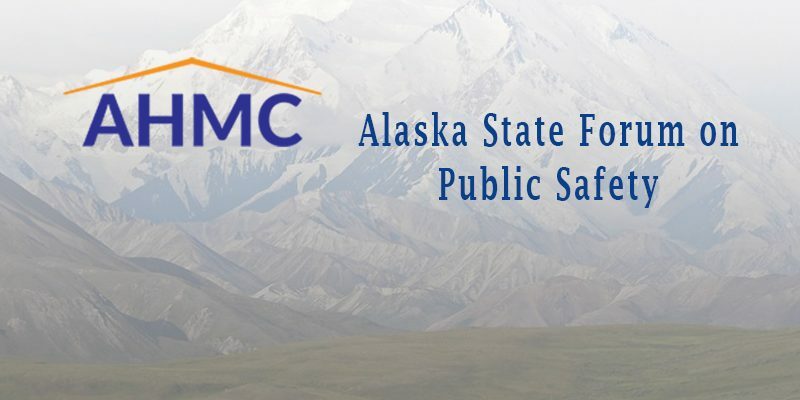 For more information and to register, please visit: https://rep-matt-claman.ticketleap.com/alaska-state-forum-on-public-safety/. WHEN: Tuesday, September 11th, 1:00 p.m. to 5:00 p.m.